Purple in color. The nose is great with black raspberries, black pepper, slight charred meats and hints of bacon. On the palate, this is pretty ripe for St. Joseph but well with limits. Lovely, full texture. Lots of black raspberry fruit with underlying earth. Deep with layers that unwind in the glass. Still young but getting there. Needs bigger or spicy foods to match. Works well on its own. 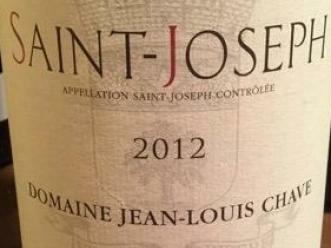 A bit expensive for a St. Joseph but well worth the $60 tariff release price. Purple in color, ruby at the rim. The nose has a lot of funk/barnyard. Some blows off with air but not all. There is also some boysenberry fruit, leather and slight bacon fat. On the palate, this is drinking well. Probably at or close to maturity. Boysenberry layered with damp earth. Good acidity. Nice finish. This needs heartier foods to work with. No hurry but probably should be drunk in the next five to seven years. 2015 is considered a very ripe year in the Northern Rhone. Most seem to think it a great vintage but some old school drinkers have issue with the ripeness. There is no right answer but plan accordingly. This is on the big and ripe side. Purple in color, a thin line of ruby at the rim. Great nose of black raspberries, bacon fat, and slight grilled meats. On the palate, this is deep with tons of black raspberry fruit. Medium tannins. It unwinds in the glass. It won't peak for at lest a decade and be good for at least another after that. Still, today it is delicious. Purple, ruby at the rim. The nose has dusty black cherries, spice and slight violets. On the palate, this has black raspberries with slight black pepper. A streak of earthiness under it all. This is a big, fruit forward wine. It is still young and should develop over the next two decades (probably peaking after one). Good acidity. Would work well with bigger foods. Nice finish. Certainly a ripe wine, it might be a bit controversial among Rhone fans, but this is excellent. Certainly has some upside potential.